Q: What is Aspect Brokers contact information and direction to the office? A: Visit our Contact Us page to find out our phone, fax, email and the office direction. Q: What kind of services do Aspect Brokers provide? Q: I am thinking to purchase business or commercial real estate. How should I begin the process? A: The first step is to contact one of our office brokers or fill out the Contact Us information. We will contact you to discuss a type of business or property you are looking for and direct you for the next step. In mean time, visit our web site to search for available listings. Q: I am looking for a type of business, which is not listed on web site. 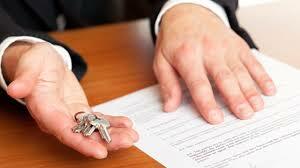 Will Aspect Brokers help me to find the type of business I am looking for? A: Yes, contact one of our brokers and let them know the type of business you are looking for. We will be happy to assist you in finding right opportunities in future. Q: I would like to sell my business or property. What is the next step? A: Visit our “Sell My Business ” page and submit your information or contact one of our Aspect Brokers. We will arrange a phone or personal meeting with you to discuss several details and how we can assist to sell. Q: I would like to sell my business or property confidentially. Is it feasible? A: Yes, our brokers are trained to sell businesses confidentially. We do sales and marketing such a way that only interested parties finds out about your location. Q: How do I figure out the value of my business or property? A: There is no single formula or valuation method to derive value of business or property. At Aspect Brokers, we consider several factors including local area economic condition, location, condition and age of property, return on investments. Earnings are generally considered before taxes, debt. Q: When is a good time to sell? A: There is no straight answer to this question. Many people sell their investment for wide range of reasons. Each business or property selling is unique case. Contact us and we will evaluate for free and let you know if it’s right time to put your property for sell in the market. Q: How long will it take to sell a business or property? A: Based on our experience, if listing price structured correctly then we can sell in one to six months time frame. Don’t forget local economic condition, business competition, condition of business, business financial information, and earnings before taxes & debt play vital role in sell of business or property. Q: What information will I need to sell? A: During our meeting with seller, we compile the most information. However, it is nice to have the following documents ready to save time.